As I’ve said before, the Punisher is made up of a simple formula: a soldier comes home from war to become a family man; a family man loses everything; a man who’s lost everything becomes a soldier and starts a war. Frank Castle is just a normal man whose only superpower is murder. And yet from this simplicity comes so much depth. So if you’re looking to get started with the character or learn a little more, here’s the best ordered list to follow. We want to get new or returning fans a good look at the character. That means eliminating continuity weirdness as much as possible; highlighting important authors, artists, and key moments in the character’s publication history; and no alternate reality, retcon, mantle, or other confusing nonsense! Existing Punisher fans looking for the all-timers can also check out this Punisher “Best-Of” list! 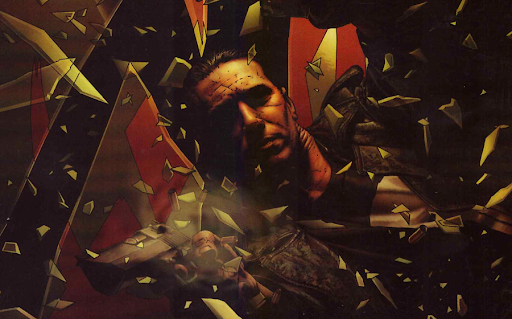 Garth Ennis starts his legendary run with Frank Castle in this book by striping him down to his most basic elements… And makes room for more action and violence. Welcome Back Frank is a classic “Punisher goes up against the mob” story, directly in line with the kind of narrative prevalent in his early publication history. This time, though, Frank is squaring off against the Gnuccis — the newest clan to rise to the top of the criminal underworld. They’re slimy, they’re loathsome, they’re fun to throw off of skyscrapers. They’re perfect for an introductory book! You don’t need any background going into Welcome Back Frank and there’s no continuity to worry about. In fact, pretty much all of the characters are new (besides Frank, of course!) So long as you know which end of an m16 to be on, you know everything you need to enjoy this book. Best of all, this trade hits all the right notes. It’s funny without having too many in-jokes; it’s violent without turning your stomach; and it’s got non-stop Punisher action while still making time for a truly phenomenal Daredevil cameo (you’ll recognize it from Netflix’s season 2 of Daredevil). This is the book that saved Punisher from permanent cancellation and it’s the very best place to start. Like the previous recommendation, Punisher Max: Vol 3 – Mother Russia is its own arc; it may say “volume three,” but I assure you there’s no continuity to worry about. The only existing character is Nick Fury, who the book does a great job of (re)introducing. Nick is here to send Frank behind enemy lines to save someone. The twist comes with regards to the mission’s asset: a young girl about the same age as Frank’s murdered daughter. This brings a level of response we’ve never seen before in Frank, who’s not just savage here but protective, even noble. Sure, he literally tries to tear a man apart using only his hands (and very nearly succeeds) but he does it in fatherly sort of way. Here, finally, is the grieving parent, laying waste to a nation for a second chance at saving his little girl. This book really highlights everything great about Punisher. His drive and determination. His relentlessness in upholding his moral code. His ability to murder a lot of people. 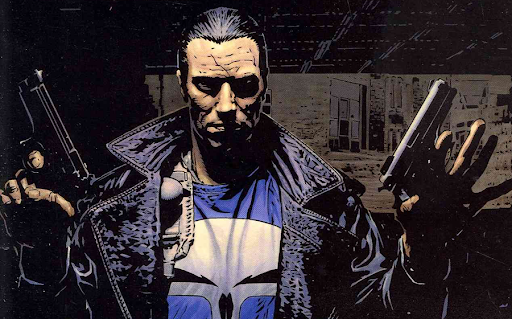 Other books in the Punisher MAX line may be more infamous, or darker, or have more iconic villains, but most of them tell the same basic story. Mother Russia is the best and only one at capturing what makes Castle keep doing this work, all alone. Chronologically, this is sort of the first Punisher story… and yet I always save it for last. You need some time with the character before you can get the full impact of this book. Born tells the story of Frank Castle before he was a costumed vigilante, back when he was just a Marine grunt serving his final tour in Viet Nam. We see him lead his men through the jungle, watch him learn to dispense his own brand of justice against US military and VC forces alike, and witness as he becomes addicted to the rush and bloodshed of this war, the conflict that came before his endless war at home. The book feels real in some moments, almost supernatural in others as the madness of ‘Nam and Frank’s own bloodlust grow out of control. Watching Frank turn from infantryman to murder machine takes on a tragic quality, even as we marvel at how far he’ll go and wonder just how much more he can take. Read this one after the others. The payoff is much better that way. 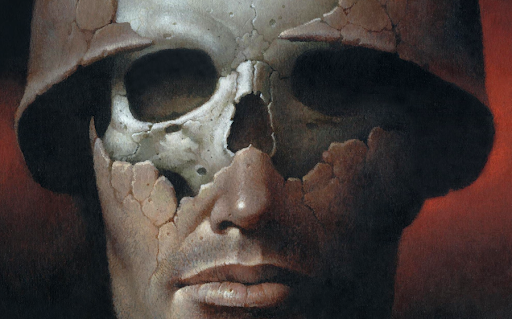 For more Punisher comics, check out Comic Book Herald’s complete Punisher reading order! I’m surprised The Platoon isn’t listed, I think it’s a better story than Born, but I liked it as a story of what made Frank exceptional before he became the Punisher.